Who said wooden blocks wouldn’t stretch the mind? Tetris fanatics, budding architects and children who love a building challenge will get a real kick out of these blocks! 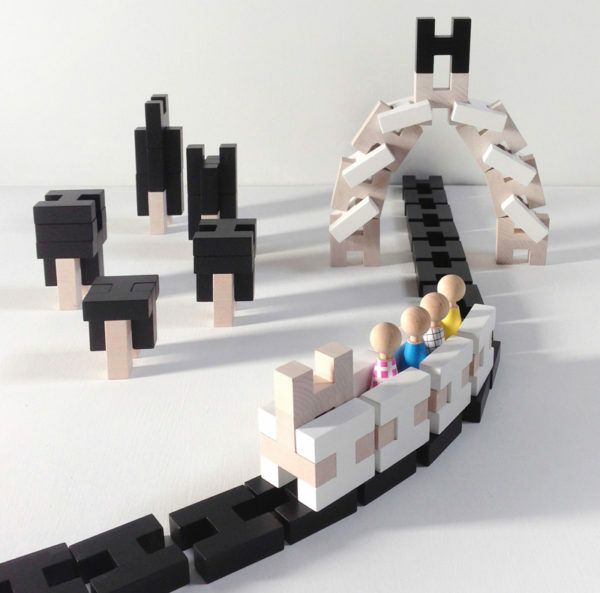 Rock and Pebble are a firm favourite of mine for all their wooden toys, sleek in their simplicity, beckon imagination when played with – and the H Block Set is no exception. Aptly named, the set consists of 18 H shaped blocks, made from solid Beech wood and includes a booklet of shapes to build to get kids started in creative building. Available in grey, black and white, the Rock and Pebble H Block Set is priced $63.95 and available from Wild and Whimsical Things.